I am delighted to let you know that baby Arran was born safely this morning weighing 4lb1 and we are all doing well. Quite unexpectedly, after a month in hospital of careful monitoring, it all kicked off today and turned out to be an emergency after all. I woke in the morning feeling a little weird and slightly headachy. I’m told I appeared disorientated and that the doctor was called, at which point I had an eclampsic seizure (exactly what they have been trying to avoid for a month!) and so I was taken straight down to be delivered by emergency caesarean section. My blood pressure was very up and down and they were pumping me with drugs, but eventually they just jumped in and got him out in minutes. I had a spinal anaesthetic and do have some memory of the events, mainly positive it didn’t feel like a big trauma and was enough like I’d been briefed to be not too scary. I’d been told preterm babies might not cry when they were born but Arran did, which was lovely to hear. 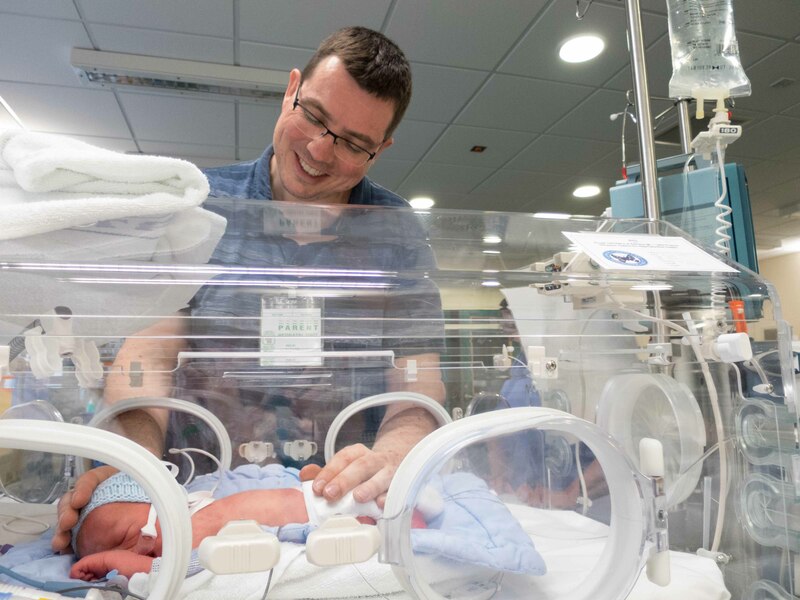 I went to the high dependency unit after that, and baby Arran went to neonatal intensive care where they will help him with breathing and feeding. I was wheeled round later in the day for a visit. He’ll be in for a while, but he’s not sick – just early. Arran is lovely, doing great, and I am absolutely thrilled with him. Congratulations. Bit of a stinker of a journey you’ve had. I’m glad you’re both well and hope your both strong, healthy and able to go home soon. Welcome to the world baby Arran, I am delighted to hear of his safe arrival and to hear that you are also safe and well. You have had quite a journey to motherhood and I hope that you recover quickly and wish you and your new little family all the very best.